It’s mid-March, although with snow and frost in Northern Europe, you can’t really tell. Still, as the days get longer, the birds return and the crocuses pop out of the thawing ground; spring is in the air. Store windows change their displays to spring clothes or BBQ grills, but I have become occupied with a different spring-time activity. My latest spring-time purchases consist of seeds and garden gloves. 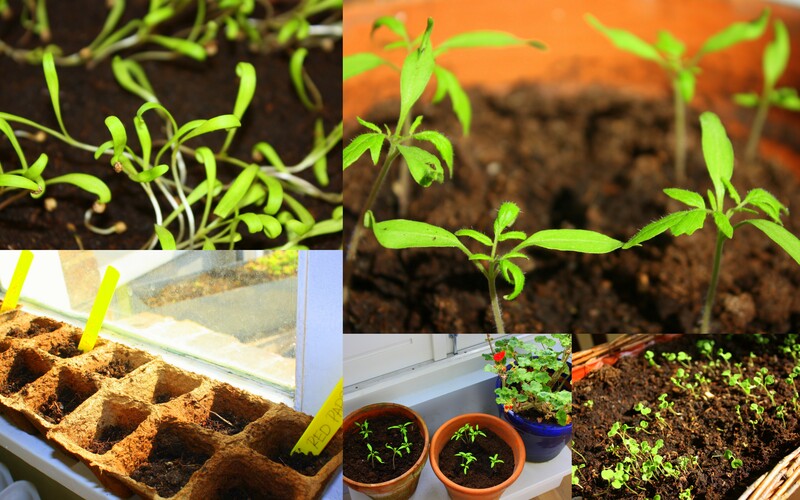 Already now, I have planted a few seeds in my windowsills: spinach, arugula, salads, peas and tomatoes. I’ve picked up a few others (e.g. carrots, kale, peppers, nasturtiums and other greens) and eagerly await their various planting seasons. With a South-facing balcony we find the sun in Amsterdam, even on a rainy day. In the meantime, the windowsills work. Now I have gardened before and consider my plants my babies. Still while not entirely new, I want to do things right – especially because my garden is a city balcony. 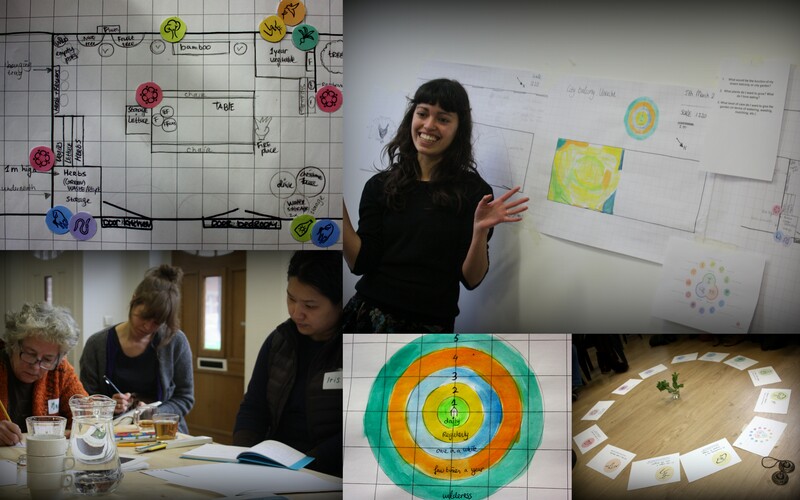 To help with the process, I have attended a few workshops with Cityplot. Most recently, one on urban permaculture, the other on comparative composting. (Thanks to a former Cityplot workshop, I already compost with worms, but am eager to learn other balcony-relevant techniques.) 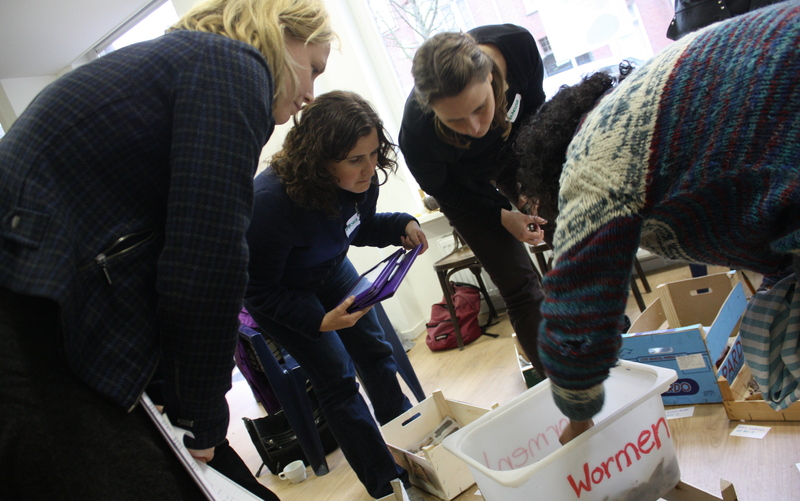 The workshops are fun – with a lot of learning – as I will attempt to describe below. The term permaculture derived in the 1970s, coined by Bill Mollison and David Holmgren, to design sustainable living systems for people and nature. It is based on 3 ethics: Earth Care (respect biodiversity), People Care (community & communication) and Fair Share (live within your limits & share surpluses). Within these ethics are 12 principles, including: to value diversity, integrate rather than segregate and producing no waste. These ethics and principles serve as a design guideline. Next we were asked to consider several things. 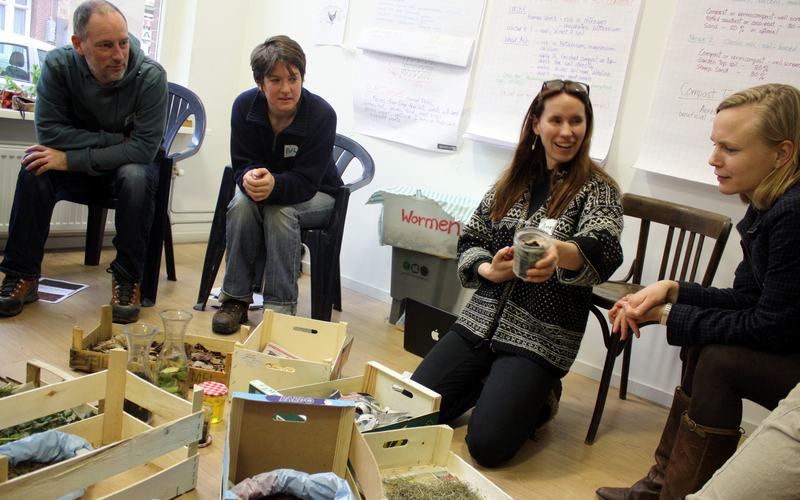 First, what is the function of the garden (growing food, social space, experimentation)? Secondly, what do you want to grow/ eat? Thirdly, how much time do you want to spend? We conducted a site analysis, drawing a map of our garden space, observing for the water, wind and sun patterns, as well as function patterns (e.g. a zone map about different uses and frequencies of use) of our garden space. Patience is one of the principles (use small and slow solutions) but I am already excited! I enjoy composting for several reasons. I hate to throw food waste away (as a Seattle girl, this is illegal in my hometown). And I am eager to make new compost for my garden babies. More importantly, to add to the already long list of environmental crises, we are undergoing a soil crisis. In less than a century, we have lost 1/3 of productive soils globally due to overuse of chemical fertilizers, mono-cropping and other activities. As a result, the humus (living material in soil healthy for plants) is rapidly depleting. While my balcony worm bin may not stop the problem, I am eager to join the other soil-lutionaries. Besides, since they don’t like elevators in Amsterdam, I am tired of lugging potting soil to my top-floor apartment. Activism aside, here are a few things we learned. Composting improves soil structure, aeration, moisture-retention and drainage – the tilth. There are several categories of compost: active (hot) compost, passive (cold) compost, sheet mulching (lasagna composting) as well as two techniques for indoors/ balconies – vermiculture (with worms) and anaerobic fermentation (Bokashi). To make the optimal compost (especially for outdoor compost) you need the right mix of heat, moisture, oxygen, nitrogen and carbon. We also learned about natural compost accelerators, including comfrey leaves, stinging nettle, fresh grass, chicken poop, finished compost or small amounts of urine. (Yes, you can pee on your compost bin, with an 8:1 ratio of water to urine). For indoor/ balcony composting, worm compost (already discussed in a different blog post) and Bokashi were recommended. Bokashi is ‘like making pickles’. (See photo). The advantages of Bokashi? It composts most food waste and produces ‘drippings’ – great to fertilize soil (diluted circa 100: 1). But it an expensive system and can be smelly. The last thing we learned was how to make potting soil. In a setting similar to a kitchen show, we mixed lightweight soil mixtures and more classic (heavier) mixes. Ingredients included worm compost mixed with cocopeat (an imported, but renewable resource) for lighter soils or sifted soil for heavier soils. In both cases, sand can be included. A fun thing we learned: you know those pesky mole hills in your garden? The soil mounds are an excellent source of shifted soil to be mixed with compost. I’ve never felt so eager to go searching for mole hills! Living in Berlin or Amsterdam and want to learn more? Contact Cityplot! 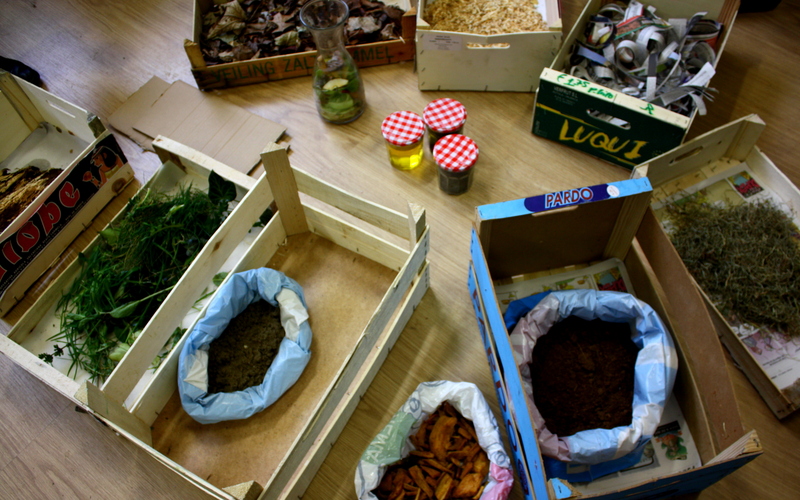 We conducted an exercise to learn about the nitrogen/ carbon mix of different compost materials. As a general role, you need a good carbon to nitrogen ration of 25: 1. Discussing which items have more carbon (often called brown material) or nitrogen (often called green material). Color can be deceiving for the actual carbon: nitrogen ratio. 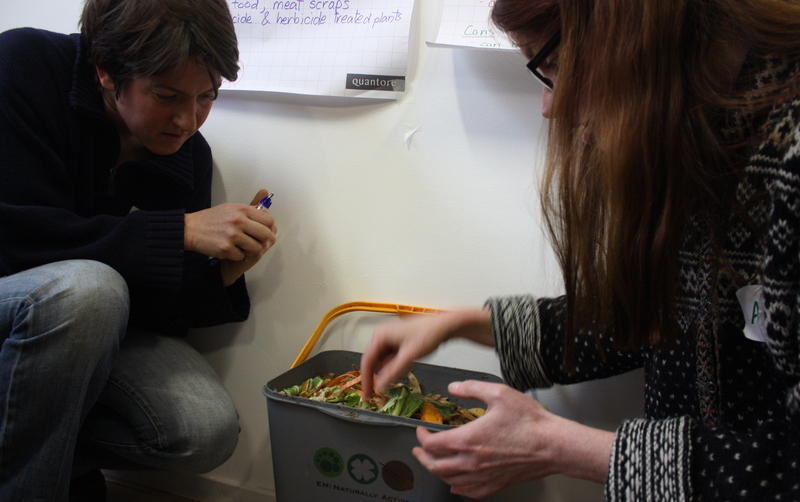 Learning about Bokashi: it’s an anaerobic system that you can throw all your food waste into (including meat), fill it to the top, press it down and between these layers add a layer of EM (effective microorganisms). When it is full, leave it for 3 weeks (and be sure to keep it closed because it stinks, although not that bad.) Then, bury it – either all together or for the balcony gardener, in ‘plugs.’ Presto, lovely fresh compost: it finishes composting in the soil. We want to see some closeups of the worms! Soon to come! Don’t want to disturb them when they are busy working. Soon it will warm up and I will need all the compost i can get for my balcony garden! Thank you for the good writeup. Look forward to more. Hi! You can find me on Twitter: @jenn_lenhart.